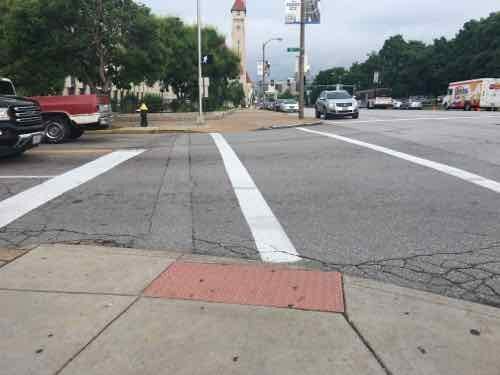 May 2016: The pained crosswalk was to left of the line, but most pf the ramp was to the right. Plus, the ramp violated the “no lips” rule. 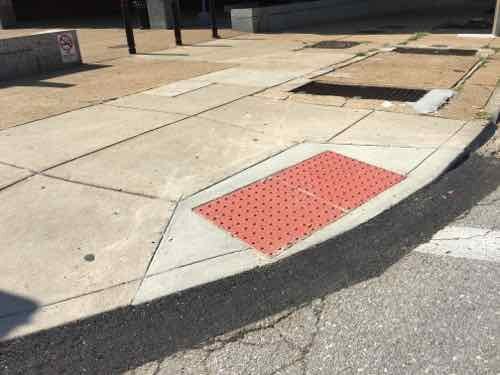 One corner of the tactile surface hangs over the curb! May 2016; Looking West across 16th St at Market, note the location of the crosswalk relative to the detectable warning mat. 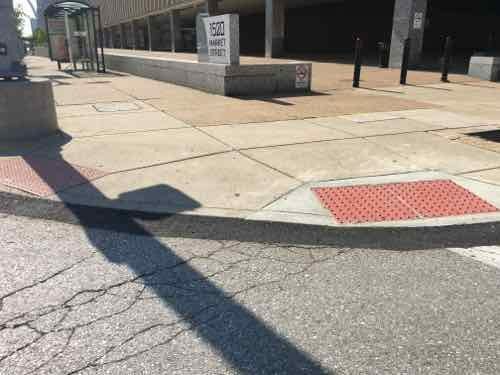 At some point in the last year I was told the city will be correcting this ramp. I’ve been through this intersection a lot over the last few months and hadn’t noticed a change — until the other day. 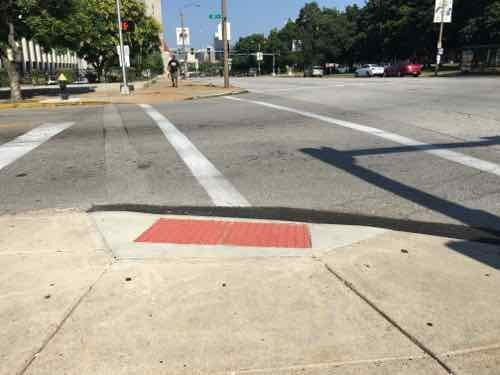 While I was glad to see the city hadn’t forgotten about it, I was disappointed by what was done. The old ramp was torn out and a new one poured. New asphalt fills in the gap that was removed to form the new ramp. Another view. 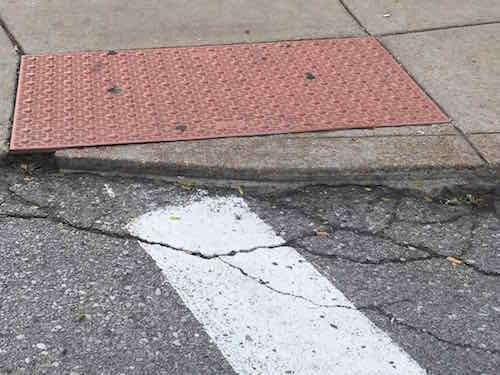 Like most ramps, this one is still too high so the asphalt helps make up for the error. Not ADA-compliant. Looking West. Hopefully the crosswalk will be changed at some point, but the ramp still directs you into the intersection. So the city has gone from an “F” to a “C-“. How much did this cost? 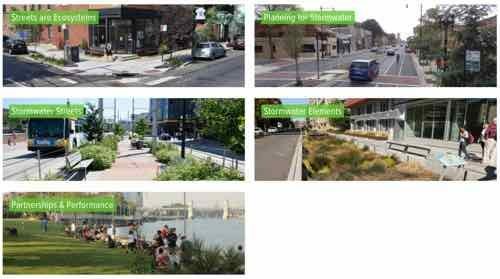 What does it take for the city to do A or B work? I know, I should just accept this city doesn’t care about pedestrian like it does motorists, crappy pedestrian infrastructure has been the norm for too long. Though I receive a lot of new books, it’s rare to see a technical best practices manual — plus hardcover with tons of full-color photos and illustrations. But last month I received just such a book. 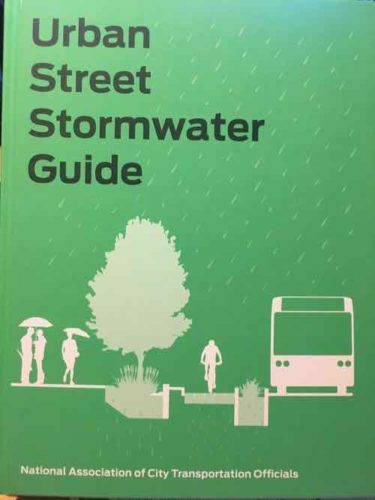 Though not a compelling novel for the nightstand, Urban Street Stormwater Guide is very intriguing nonetheless. It’s from the National Association of City Transportation Officials (NACTO) and published by Island Press. Even though it’s interesting, I don’t think many of you are ready to pay $44,99 for either the hardcover or electronic version. Good news — you don’t have to! The entire guide is online for free. Yes, free. This means everyone who’s interested can learn about best practices for managing stormwater on urban streets, I suggest emailing links of sections you think we need do consider to elected officials. Click image to view the guide online. Each has many subsections. Everything is very technical, but presented in a way those of us who don’t deal with this on a daily basis can still find accessible and understandable. I like how many hypothetical & real case study examples are used throughout. Not surprising, St. Louis and the many municipalities in our region are not member cities of the National Association of City Transportation Officials (NACTO). 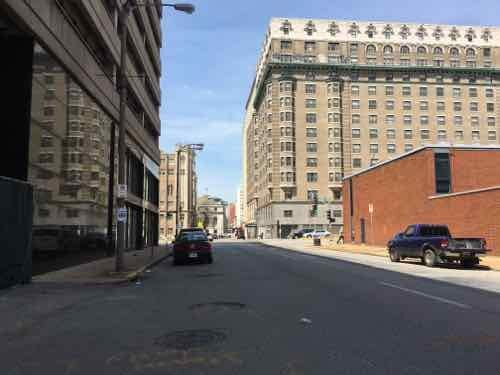 Razing buildings might seem like the answer, but the unintended consequences shouldn’t be overlooked.Sure, no vacant building but then you’ve got a vacant lot unlikely to be developed. Dumping, high weeds, etc are all nuisances that can happen at vacant lots. While rehabbing an old building is more expensice than building new, it’s also more likely than new infill construction — especially in marginal (low demand) neighborhoods. Obviously St. Louis doesn’t have the population it had in 1950 — but that was a time of severe overcrowding. The number of housing units didn’t meet the need. As, mostly Northside, neighborhoods continue to empty out it becomes harder and harder to support these areas. What does that mean? Sparsely populated areas with few remaining structures should likely be cut off so limited resources can be focused on more populated areas. However, doing so will have a huge impact on low-income/minority neighborhoods. You can’t tear down buildings indiscriminately all over the city and not expect consequences. When I travel throughout neighborhoods I think about many buildings that people, including the Alderman, wanted razed. Many of these are now rehabbed and occupied. Holding onto these structures until a plan could be put together helps bring a positive vibe to struggling neighborhoods. 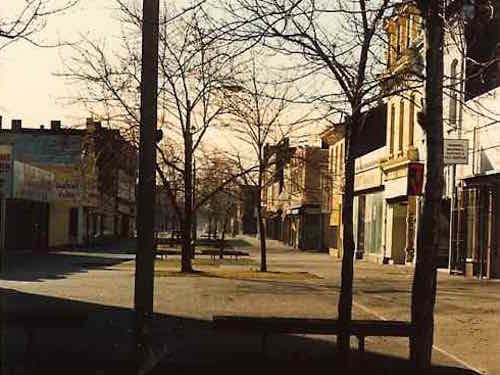 This building on the NE corner of MLK & Marcus once had a huge hold in the West facade, but it was saved. 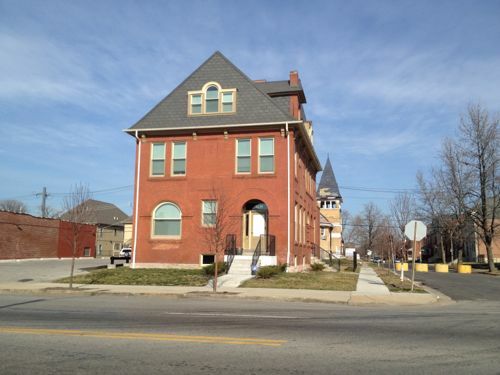 This long-vacant building was rehabbed as part of the same project. Today, though, more and more people in leadership positions, including Mayor Dave Bing, are starting to acknowledge the need to stop fantasizing about growth and plan for more shrinkage. Growth is as American an ideal as the capitalistic enterprises that fuel it. So by itself, this admission is a step forward. It’s way overdue. Detroit has been shrinking for 50 years. The city has lost more than half of the 2 million people it had in the early 1950s, but it remains 138 square miles. Experts estimate that about 40 square miles are empty, and Bing has said that only about half the city’s land is being used productively. You can’t want vacant buildings razed and not expect the least populated areas to be written off. Don’t want to be written off? 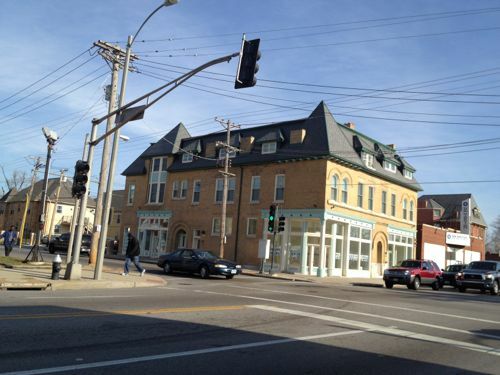 Stabilize vacant buildings and work to get them rehabbed. Just over half of those who voted in the recent non-scientific Sunday Poll also don’t think razing buildings will help. Q: Agree or disagree: Tearing down vacant buildings more quickly will help St Louis. Obviously, there isn’t consensus on this issue. We need to have a serious community discussion about the future of this city. What’s our plan — controlled shrinkage or aggressive infill? Probably both is the best way to proceed. 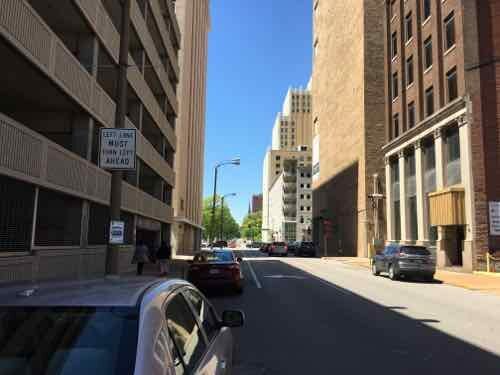 This reminds me about an old planning joke about a city tearing down enough downtown buildings for parking, only then realizing there wasn’t enough downtown left to attract anyone.